This listing is for ONE engraved beer can glass. 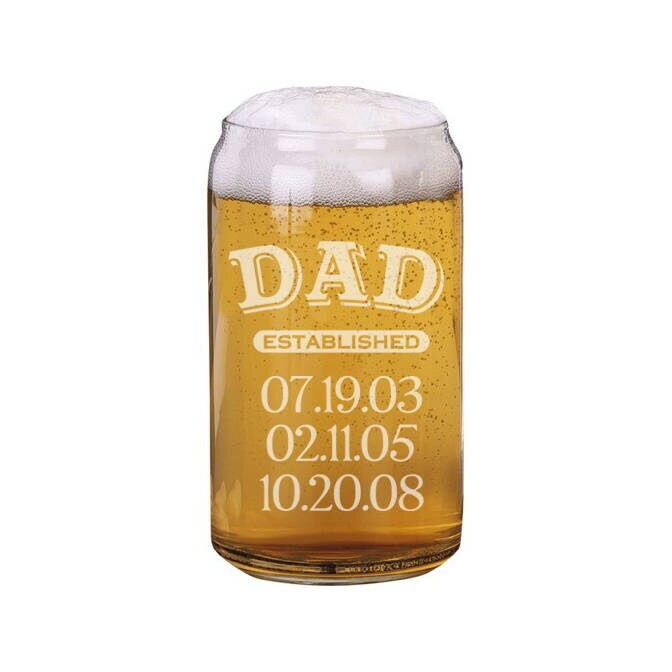 They are precisely laser engraved directly onto each 16 oz. glass creating a frosted look. Since this is engraved onto the item it will last a lifetime! My husband loved this for father's day! Awesome glass, my dad loved it. Quick shipping. I had requested these custom glasses with the Zen symbol engraved on them. They came out great!! Very quick turn around from order to received. I had quick responses from the owner and overall GREAT experience. Ordered these special for my boyfriend for Father’s Day. Our daughter’s name is Zen and these are a great meaningful keepsake. PLUS can glasses are just COOL! Super fast shipping! It’s perfect!